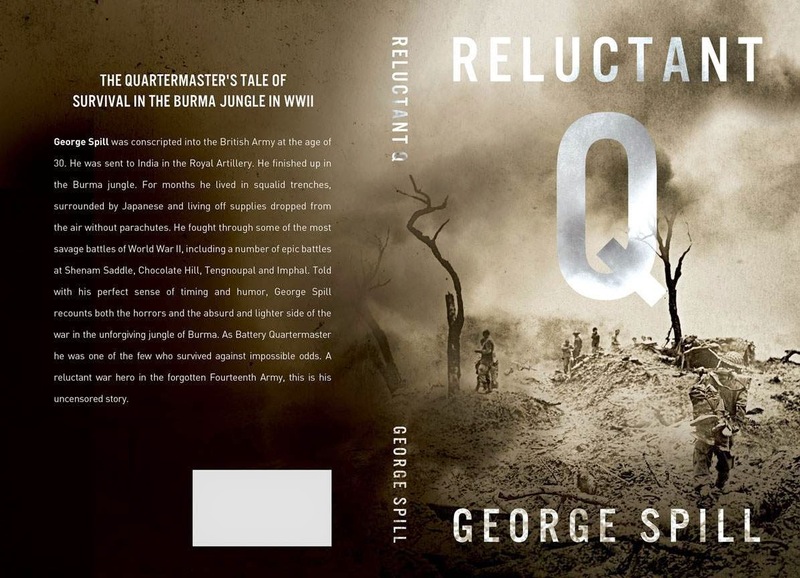 The quartermaster's tale of survival in the Burma Jungle in WWII. George Spill was a 30-year-old conscript from London when he was sent to India in 1940. He was out of shape, had never fired a gun in his life and left behind his pregnant wife and son. He rose up the ranks to become the Battery Quartermaster Sergeant for the only medium field artillery unit in Burma. For months he was the highest ranking NCO in the malaria infested jungles of Burma where they were dug in, surrounded by Japanese forces intent on killing them. As part of the Forgotten 14th Army, in the Royal Artillery, George, nicknamed “Q” managed to supply his troops with food, medical supplies, rum and ammunition. At times they were cut off from all help and relied on supplies dropped without parachutes from low flying aircraft. He had many adventures and close encounters with death in Burma. A quartermaster, he inspected the local Army brothel, beat Merrill’s Marauders in a game of water polo, liberated a fleet of American trucks and fought off wave after wave of suicide charges from desperate Japanese in some of the largest and bloodiest battles of World War II. As one of the few to survive in such extreme conditions, this is George’s uncensored story told from the perspective of a reluctant war hero with a sense of humor and awareness of the horrors he and his mates endured. Now available in paperback and as an e-book on Amazon.